The bedroom is a sanctuary within a sanctuary—it’s the first place you’ll be in when you wake up and the last place you’ll see before you sleep. Having a beautiful place to wake up and sleep in is one is a great feeling. So why not take advantage of your bedroom space in your Denver luxury home and make it more comfortable? Here are five ideas to make your bedroom more amazing. A large comfortable bed is the center piece of any bedroom. Efficient use of space no matter the size of your bedroom can make all the difference for the feel of the room. Use pillows to decorate for color, create an inviting feeling and let you relax. Add a soft throw blanket for style and function keeping you warm on a cold morning. Choose a bed that supports your body position and any physical ailments. Getting a great nights sleep vital to feeling energized for each day, so picking the right mattress for you is important. Don’t skimp on getting the perfect mattress because you will spend a large part of your life there. Some luxury bedrooms come with built-in vanity or bar area, while some don’t. There are different ways to have a vanity area and they can be small or large. Use furniture or have a built in added to corners or recessed areas. Surely, luxury bedrooms deserve more than just ordinary light bulbs for lighting. Decorative ceiling lights could give splendor to your bedroom and improve the bare-looking high ceilings. The fixture doesn’t have to be as lavish as the iconic fallen chandelier from The Phantom of the Opera film. Just make sure to hang it at a safe height and that it lights the place right. Use a lighting fixture that has a style complementing the other elements in the room so it won’t look out of place. Hanging light fixtures doesn’t only make the room lighting brighter, but these also serve as a decoration to add glamour to your luxury bedroom. Aside from the stool your vanity desk might have, having another chair in a luxury bedroom is something you should consider. You can choose among a variety of accent chairs your bedroom lifestyle may need – from reclining armchairs, to elegant winged chairs, to stylish lounge chairs, to classic ottomans. Reclining armchairs are suitable for spots near wide bedroom windows while winged chairs are beneficial near bookshelves. However, lounge chairs and ottomans are best placed at the foot of the bed. You might wonder what a bedroom chair is for if you can just sit on the bed. But it’s a good thing to have a chair around the room if you suddenly need to sit in a certain spot in your bedroom that is far away from the bed. Luxury bedrooms need decorative pieces that express a high social status. After all, luxury living is high living. Decorate your bedroom with curtains, carpets, rugs, figurines, and sculptures. Add murals or giant graphic designs on one of the bedroom walls or hang large paintings over your headboard. If your ceiling height would allow, you can put a bed canopy. Of course, your choice of decoration should depend on your chosen interior designing style. It’s also important that you avoid overdoing the decorations. 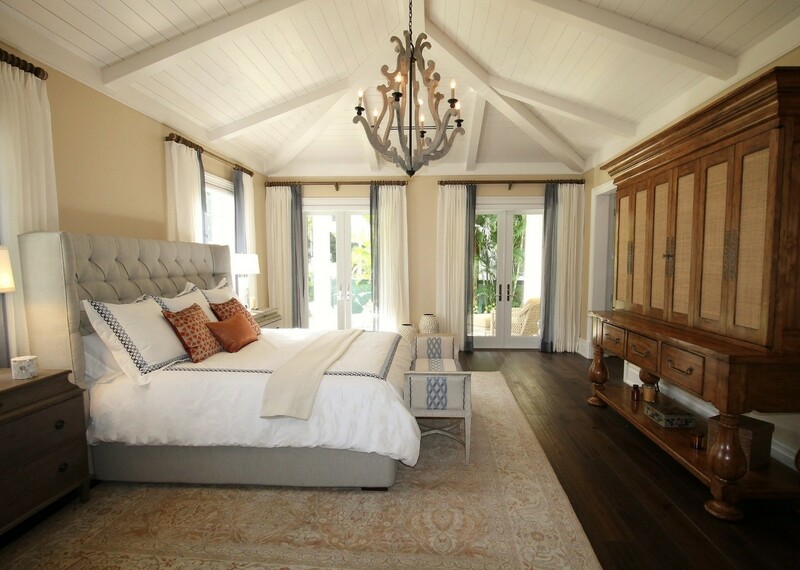 A well-decorated room improves a room’s status as a luxury bedroom. However, you should always keep in mind that you’re decorating a sanctuary within a sanctuary. Chose only decorations that are pleasant to your waking and sleepy eyes and won’t interfere with the comfort of your sleep. We hope that the ideas above will help you when it comes to decorating to your luxury bedroom. Furthermore, when it comes to finding, buying, and selling Denver luxury homes, you can always contact a real estate professional for assistance.